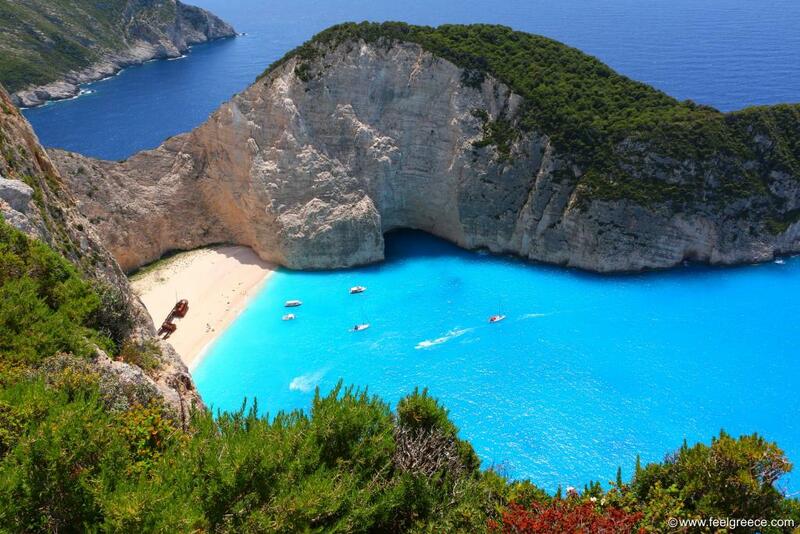 The Ionian islands are a group of islands in West Greece and as the name suggests, located in the Ionian sea. They are all green, picturesque and home to some of the most dramatic beaches targeted by photographers. The amazing vivid blue color of the sea (or milky blue in certain spots of Lefkada and Zakynthos) is a peculiar feature of the group, and in a combination with the green hills reaching down to the sea and the multicolor houses in neoclassical style, it creates such landscapes that you`re tempted to take a shot of every corner you see. The west seaside of all Ionian islands is characterized by vertical cliffs and sea caves which can be explored by daily boat trips, including swimming in the caves as well. Namely on these west coasts you can take a glimpse of some of the most inspiring beaches for camera lovers. 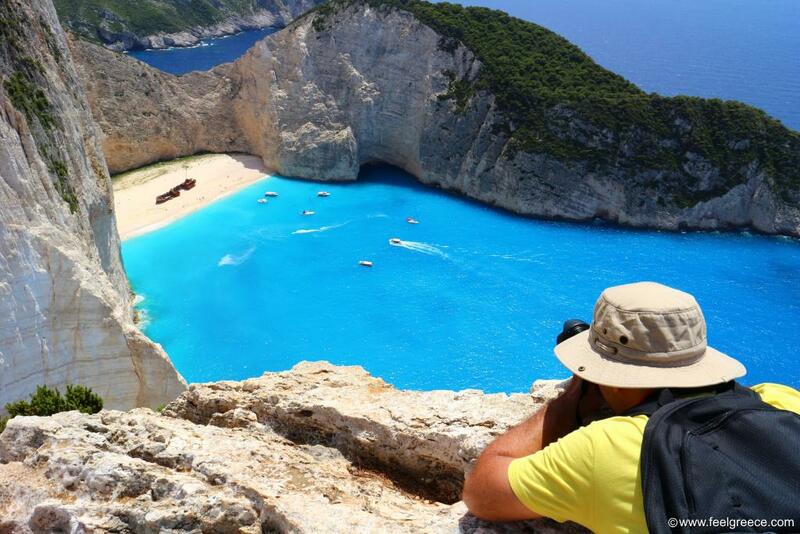 The world-famous Navagio beach owes its fame to the shipwreck, the rusty ruins of which stand there in contrast to the blue water and the white cliffs. Navagio can be accessed only by sea but since the aerial view is more spectacular, most photos are taken from a special platform and from the rocks above the beach. Watching Navagio from the rocks is not safe as there is no protective fence (but it doesn`t mean you won`t see people taking selfies and almost falling down while seeking the perfect shot). We visited the beach by boat as well and stumbled upon a photo session of models in swimwear. 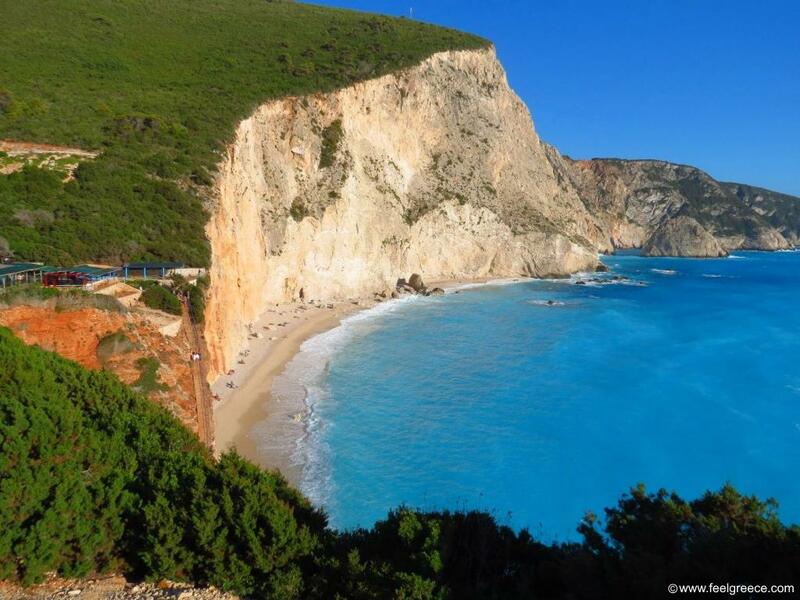 Porto Katsiki is the most famous beach of Lefkada, though Egremni was by no doubt the favorite. Unfortunately, Egremni was ruined by an earthquake in 2015 and now reachable only by sea. The striking color of the sea is still the same but the beach is not, so Porto Katsiki takes the lead now, with a panoramic (and a bit scary) platform overviewing the beach from above and stairs leading down to the sea. The view of Myrtos from the road is one of the most breath-taking scenes in a lifetime. Sparkling white pebbles (no sand there) and bright blue sea with small dots moving here and there like ants (the people). 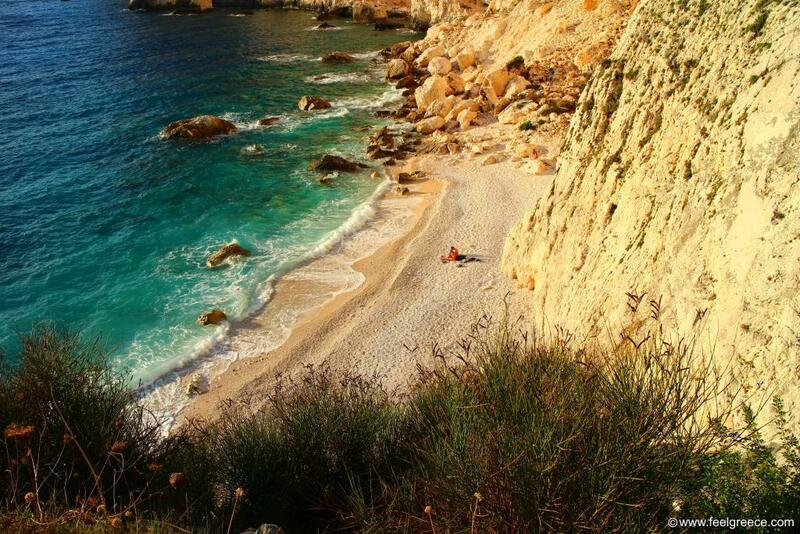 Like Egremni on Lefkada, Myrtos was badly affected by an earthquake in 2014 and even the road had collapsed but it is now restored and welcomes visitors and photographers. 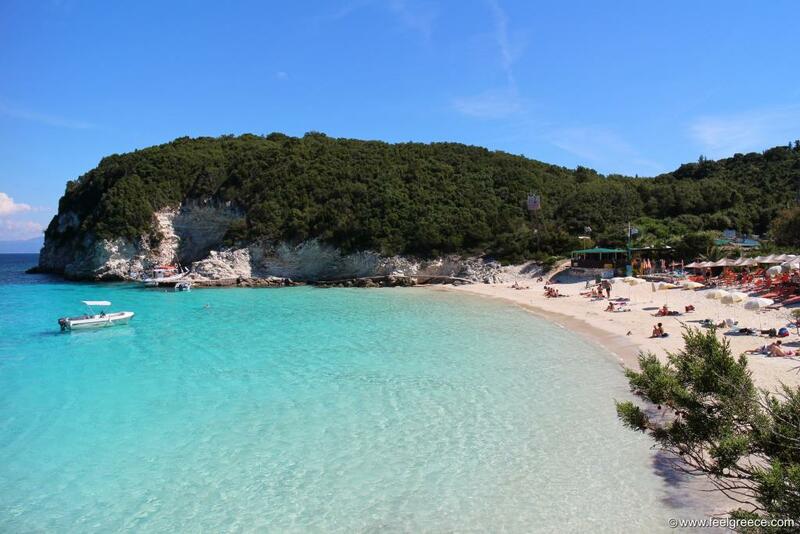 The uninhabited island of Antipaxos allures with two superb beaches - Voutoumi and Vrika, with tropical-like white sand. The water is so transparent that you can often see boats "floating" in the air. Erimitis appeared after landslide in 2007 and large pieces of rocks can still be seen on this beach, as if the collapse has just happened. The sunset observed from here is spectacular, coloring the scrambled rocks in fiery hues. It is the one of the two beaches on the west rocky coastline of Paxos which can be accessed on foot.